Lora Leigh does it again! In this first installment of the Brute Force series, we finally get to see Rory get his story and his girl. From the first page, the action is in your face until the last surprise ending. 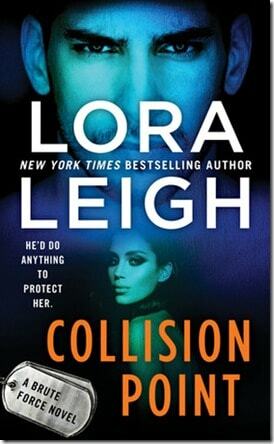 Collision point could be a stand-alone for this spinoff series, but it certainly helped knowing the background of the supporting characters. Rory is the bodyguard/boyfriend of Amara, the daughter of the Russian Resnova family. After being rescued from a kidnapping, she loses the memories of the previous year of her life but she has fleeting dreams of Rory. She tracks him down and they spend the rest of the book trying to figure out who they can trust and what happened before and after Amara’s abduction. What I loved is the action moves from page to page with little gaps in intensity. Even the pages with dialogue are edgy and intense and you can’t just skim past those heated conversations. 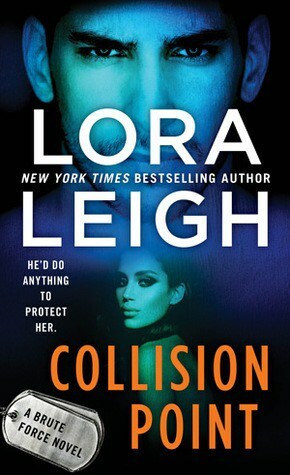 The steamy scenes are textbook Lora Leigh and the alpha OTT actions of Rory just builds the reader up for more to this series. I can’t wait to see what comes next. Syn’s story, perhaps? Thank you to NetGalley for the ARC. All opinions are my own.